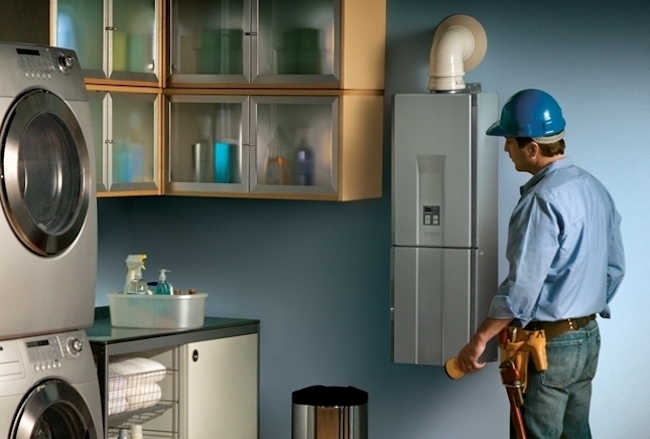 Tankless Hot Water Heaters: Should I or Shouldn’t I? Whether you are building a new home or retrofitting an older one (like me), take time to evaluate the hot water system. After all, estimates say that as much as 30% of a home’s energy budget is consumed by heating water. 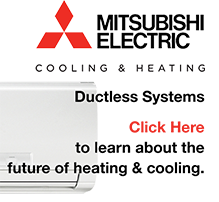 A traditional water heater continuously heats water in the tank, regardless of whether it is being used. By comparison, the newer tankless designs heat water only when there is demand for it. Less stored water to heat means less cost—and let’s not forget, a more compact, wall-mounted design. Size Matters: Tankless hot water heaters are available in room or whole-house sizes. Calculate how many appliances or fixtures need hot water in order to determine the best size unit for your home. For me, a whole-house system was needed. 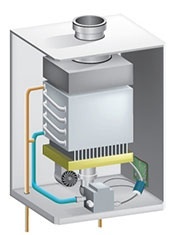 Gas-operated tankless hot water heater diagram. Fuel Type: Hot water heaters are available in either electric or gas (natural and propane) models. If you are considering electric, check for voltage and amperage requirements. The gas version will need some electric to operate, but venting will be the bigger issue. Location: If you live further north, your ground water will be colder than if you reside in the southern or western part of the country. The temperature of the water will affect the speed and flow. Know the Flow: If you think you will need to run the dishwasher while someone else is showering, assume a larger gallons-per-minute (GPM) rate will be on order to meet your overall water needs. Take into account water usage, too: A bathroom needs less water than a kitchen, a dishwasher less than a shower, and so on. Look into Rebates: Many utility companies offer incentives, and you may benefit from state tax credits as well. Investigate both to ensure that you’re eligible and if so, that you reap the full benefits. Understand the Payback: In general, a tankless hot water heater will cost you more upfront—between $800 to $1,150 (plus installation)—compared to a traditional tank water heaters at $450 to $750 (plus installation). Balance the cost of your unit with your ongoing operating costs. According to the U.S. Department of Energy’s Energy Efficiency and Renewable Energy website, tankless water heaters can be 24 to 34 percent more efficient than a traditional tank-style water heater, depending on a home’s daily demand for hot water.